How can books become platforms of collaboration through community building and open licensing? 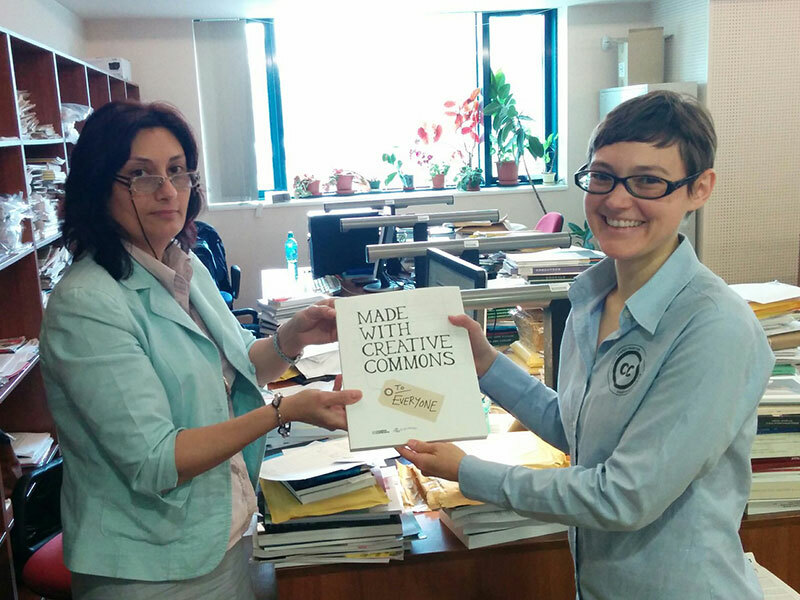 ‘Made With Creative Commons’ is a book publishing experiment that explores this question. 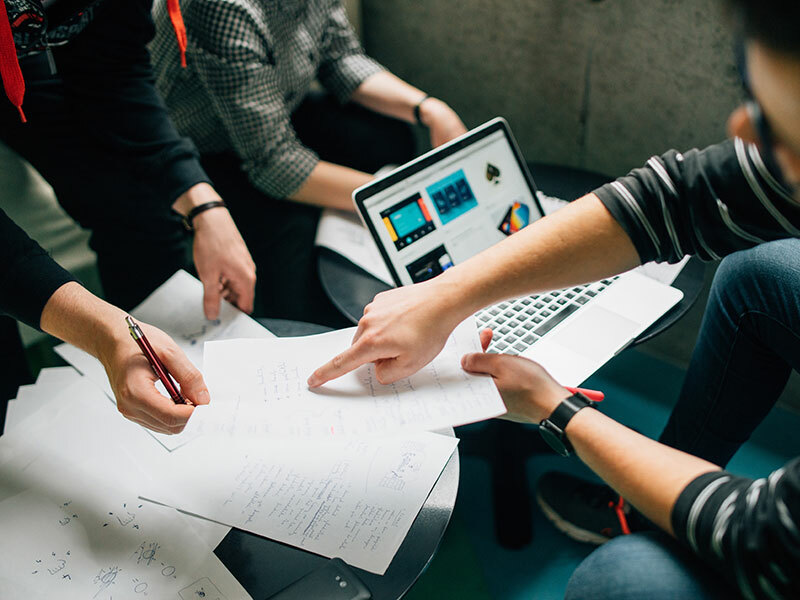 It is clear that our information digestion patterns have changed dramatically in the recent 20 years with the advent of the Internet: information is abundant, cheap, fast-paced and, as a result, comes in increasingly smaller packages. This prompts the question: Do books need to stay in the formats we have come know of up until now? As technological development is soaring at an exponential rate, maybe the books of future could be something different than what we se them as in the present? Is it possible to bridge new technology, new social currents of co-creation and the book format? To make books more interactive? To create something that lives, breathes and evolves way beyond its publication date and becomes more like the hypertexts of the web? What does the book of the future look like and what is its role in our knowledge landscape? In Ctrl + Alt + Delete Books, a non-profit book publishing collective based out of Copenhagen, Denmark, we recently published Made With Creative Commons, a book envisioned, compiled and written by Sarah Hinchliff Pearson and Paul Stacey of Creative Commons. With this book’s publication, we sought to engage in publishing experiments and to contribute to exploring the role and format of the book in the digital age – through learning by doing. Made With Creative Commons is a book that not only looks at open models for content creation (and how to potentially sustain yourself with it,), but is also a bold attempt to redefine what a book can be in 2017 and beyond. The book project was kicked off as a crowdfunding campaign using the Kickstarter platform. Here people could show their interest in the project, buy a copy upfront and help us learn roughly how many copies to make. But perhaps more interestingly Sarah and Paul also designed one of the supporter perks so that people could become part of a review community to read bits of the book as it was being written and give precious feedback that was then used to refine the various sections in real-time. This was easier said than done: This particular experiment was one of the things we struggled the most with setting up in a meaningful way Adding a lot of people to the editor team adds a strong expert resource, but also challenges the process (and the pace of writing) because the authors need to digest criticism and new ideas as well as provide feedback in return. This was experiment number one, and while we think we managed alright (Sarah and Paul got some great input from the kickstarter community) it is definitely a process that can be improved for future books. Setting up the right communication and co-editing structure is pivotal (we merely used Google Docs). Liaising with Kickstarter backers around content is not the only way the book was influenced by a larger community. As mentioned, Sarah and Paul were at all times at the center of the whole process, doing tremendous work not only scoping the contents, compiling data, doing interviews, writing up the contents and also acting as creative directors in the book making process. But the special way they did it was very significant: They did so in a manner that continually involved the broader global community around Creative Commons, the organisation stewarding the license tools that the book explores. Open hangouts, workshops at events and inviting feedback on open mailing lists were some of the efforts that they initiated to shape the book project in the initial scoping and later writing phases. There we have experiment number two: Moving from a more conventional publisher-author (more or less siloed) feedback structure to one that invites all interested stakeholders to contribute and help iterate the contents many times over as well as build a community around the book. Let us move on to the experiments that came after the writing process. Because we not only wanted people to engage with the book and its contents before and during its writing, but obviously also after. One obvious way of doing that is using an open license, which – contrary to conventional publishing licenses, which strictly prohibits re-use without consent from the publisher – invites people to do so under some very clear guidelines. Sarah and Paul decided to use a Creative Commons Attribution-ShareAlike license (CC BY-SA) which allows anyone to freely rework, repurpose, remix and redistribute the book or parts thereof, also for commercial purposes, as long as derivative works use the same license as well as gives credit to the original creators. 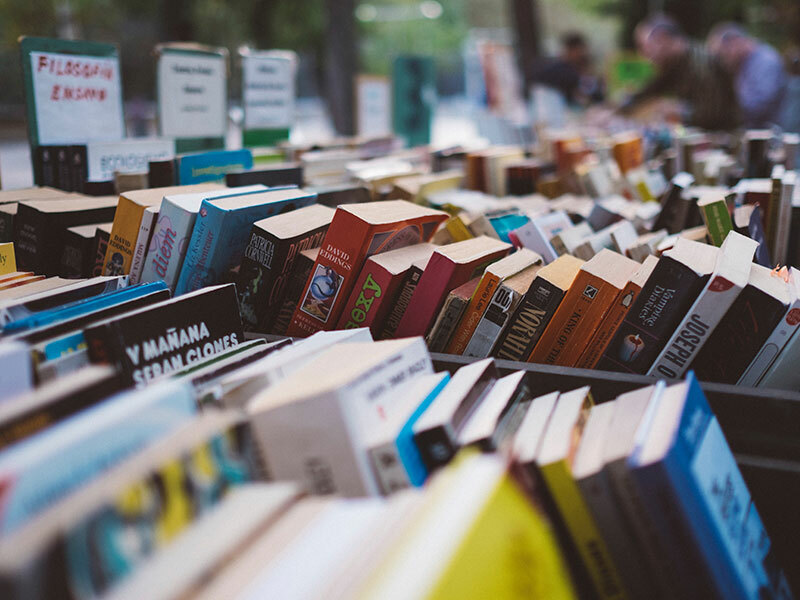 This sets the stage for a frictionless interaction between authors, readers and those curious to repurpose the book contents, and it sets the base for the expansion of the growing community. To give the best possible outset for such engagements and expansion of the community, an editable version of the book (as a Google Doc) was made available alongside conventional digital formats (epub, pdf and physical paper copies). This meant that news outlets could present their readers with a chapter (like, for instance, Sharable, Unglue.it and Creative Commons on Medium) or that anyone could browse (or read fully) the digital versions before deciding whether to buy a physical copy. Most importantly, it made bits of the book (and the book itself) fully shareable on social media and thereby allowing it to travel the tubes of the Internet without obstacles: Possibly the best marketing strategy in the digital age and much more effective in reaching distant audiences across the globe than any add campaign. 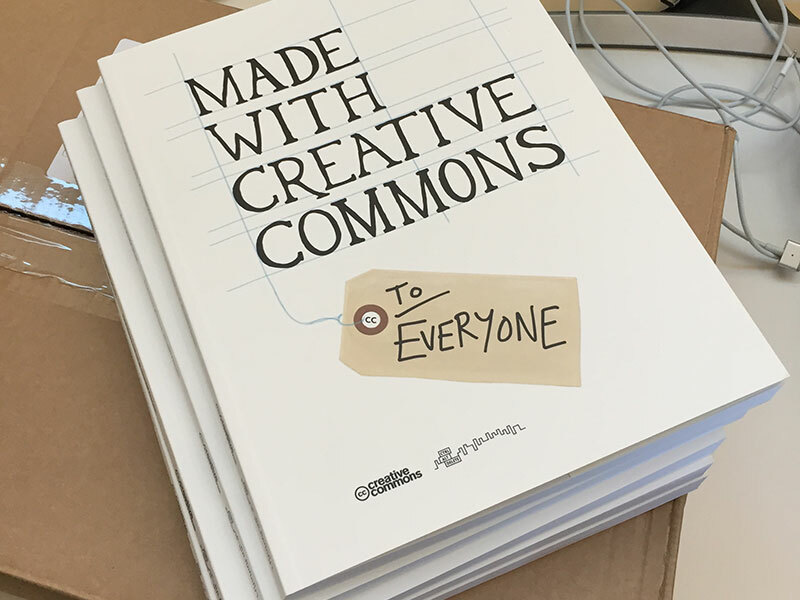 At the recent Creative Commons Global Summit in Toronto, Canada, which happened in April 2017 (the week before the publication date), all conference participants received a copy of ‘Made With Creative Commons‘. But moreover approximately 400 books were made available for crowd-distribution: Participants were encouraged to bring one or more copies back home to give to their local library. Many of them did so, and they were asked to take a photo of the actual exchange and post it either on social media or in the Creative Commons official Slack space. The result brought the book into libraries on all continents and across the globe. See an overview of the massive effort done by the global community in this blog post, which we published earlier in the summer. Right upon release it became clear that our e-book (concretely the .epub version) had some compatibility issues and would not load well on certain e-book readers. Other issues included troublesome fonts and unstable chapter-indexing, and frankly we were a bit challenged by these issues, which meant that we would have to hire someone to fix it. However what happened next highlights the beauty of open collaboration and open licensing, as the community cavalry came to the rescue: Mario Lurig, a talented tech wizard based in Colorado created a new, fully compatible and stunningly beautiful e-book for us – without us even having to ask! He just came out of the blue and sent it us. Thank you, Mario. And as if that wasn’t enough, Eric Hellman of Unglue.it, an inspiring community for individuals and institutions joined together to make ebooks free to the world, came forward and kindly did a .mobi version of this book. A gesture that helps the book spread across even more platforms and devices. Moreover, as mentioned above, Eric is also making the downloadable ebook version of Made With Creative Commons available on his site here, helping redistribute it to even larger audiences. Ever since we put out the book on May 10, 2017, people have been asking for versions in other languages, most prominently Spanish. At the moment, however, this is something which lies beyond our resources. Not a problem, though: In a true community effort, a group of volunteers lead by Gunnar Wolf have stepped forward and are currently working on the first translation using Weblate, a web-based infrastructure for collaborative text translation created by Linux Debian’s Michal Čihař. Gunnar and his fellow translators are currently in the middle of deconstructing the source material, designating paragraphs, turning them into translatable strings and building the book again from there in a fashion that allows easy translation into Spanish as well as any other language (follow the process here). It is also inspiring to see how other authors, writers and researchers are already building on the content of Made With Creative Commons. One example is Fátima São Simão, a PhD researcher from UPTEC, University of Porto’s Science and Technology Park in Portugal, who lead the work building the Creative Commons Business Toolkit. Fatima just published her new paper “Open Business Models for the Creative Industries: How the use of open licenses in business can increase economic results and cultural impact“, which builds on examples from Made with Creative Commons and was also recently presented at the SERCI annual congress. Another example is the reuse of parts of the book in the Digital Social Innovation Toolkit, crafted by Serena Cangiano from the University of Applied Sciences and Arts of Southern Switzerland (SUPSI) and Zoe Romano from WeMake, a creative community in Milan in close collaboration with NESTA in the UK. The Toolkit is a collection of case studies, tools, and curated resources to help digital social innovations from within the maker movement scale and uses parts of the case study work presented in Made With Creative Commons. The content of the book continues to evolve through such work and thereby ensures continued relevance way beyond the point in time in which it was published. We can hardly wait to see what other reuses, re-workings and redistributions will happen over the coming months. To give credit to the amazing volunteers and community members devoting their time to extend the use and reuse of the book, Creative Commons kindly set up a community engagement page, which we keep updated with any and all instances of engagement with the book contents that we know of (please let us know if we have missed any). All versions (including those who are made by the community are also available for free download on the main Made With Creative Commons page. A huge thanks goes out to everyone who has contributed to the book and thereby helped illustrate the synergetic potential of making open books and inviting participation. We hope the experiments done with Made with Creative Commons showcase how it is natural in the digital age to not limit books to merely be static snapshots of one-way information, but that they should rather be open invitations for co-creation and ongoing conversations. The experiment is only getting started. If you’re reading this and feel inspired to join some of the initiatives mentioned above or start your own reworking of Made With Creative Commons – please dive in! Feature photo by freddie marriage and collab photo by Štefan Štefančík, both on Unsplash (used with permission, All Rights Reserved). 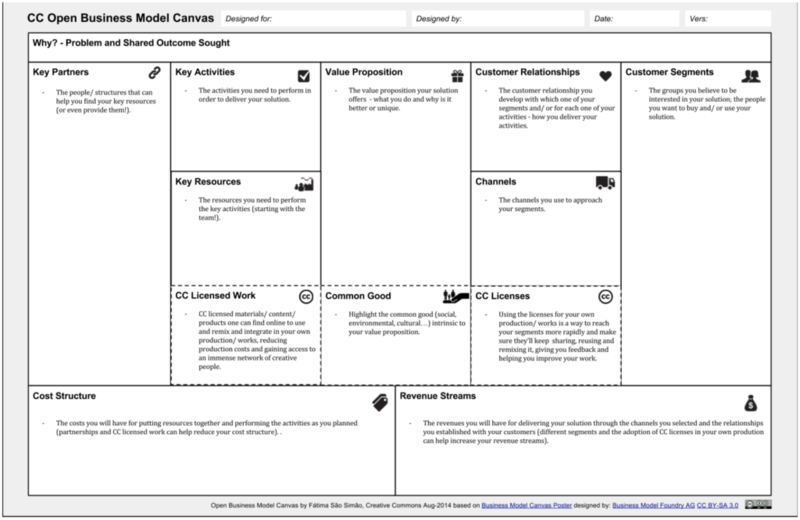 Business model canvas by Fatima Sao Simao, CC-BY-SA 3.0. Book sharing photo by CC Romania (used with permission, All Rights Reserved). Made With Creative Commons book photo by Christian Villum, CC-BY.